he one overarching aim of scientific research conducted in the medical field is to improve the health of the human species. The approach though may vary from pure basic, applied to epidemiological. One of the most pressing issues in basic sciences research is financial resources.6 The development and up-gradation of laboratories with state of the art equipment is a huge endeavor for developed countries where a study showed 51% faculty identifying this as a barrier to research let alone developing ones.6 Although without doubt the applicability and visibility of applied or clinical research appears to have a greater and immediate impact, the importance of research in the basic medical or for that matter dental science cannot be denied. Culturally funding bodies in our part of the world promulgate the idea of short term impact and applicability directly translated into tangible outputs rather than seemingly obscure ideas that are the mainstay of basic science research. As so pertinently questioned by Dyna (2016) “Why would a nation that cannot feed its people try to send a spacecraft to Mars?”.8 The answer would be why not? Many of ours problems can be solved by us by targeting local issues from antibiotic resistance to malnutrition rather than looking towards the developed world to solve these problems. Thus acquiring fundamental knowledge of biological systems through basic sciences research would lead to healthier living by reducing disability and illness. 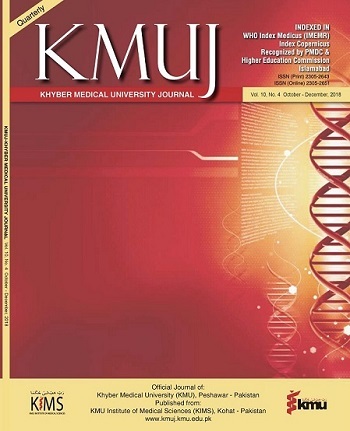 Basic sciences at Khyber Medical University is also working on joint collaborative programs like Nutrition and cancer genetics with research groups comprised of not only basic scientists but clinicians and epidemiologists as well. Hobin JA, Deschamps AM, Bockman R, Cohen S, Dechow P, Eng C, et al. Engaging basic scientists in translational research: identifying opportunities, overcoming obstacles. J Transl Med 2012 Apr 13;10:72. DOI: 10.1186/1479-5876-10-72. Schor NF. Why our patients (and we) need basic science research. Neurology 2013 May 28;80(22):2070-5. DOI: 10.1212/WNL.0b013e318294b48a. Samuelsson B. Role of basic science in the development of new medicines: examples from the eicosanoid field. J Biol Chem 2012 Mar 23;287(13):10070-80.  DOI: 10.1074/jbc.X112.351437. Chan IS, Ginsburg GS. Personalized medicine: progress and promise. Annu Rev Genomics Hum Genet 2011 Sep 22;12(1):217-44. DOI: 10.1146/annurev-genom-082410-101446. Dao HD, Kota P, James JA, Stoner JA, Akins DR. Assessment of Translational and Interdisciplinary Clinical Research at an Oklahoma Health Sciences Center. J Okla State Med Assoc 2015 Mar;108(3):93-101. Deckelbaum RJ, Ntambi JM, Wolgemuth DJ. Basic science research and education: a priority for training and capacity building in developing countries. Infect Dis Clin North Am 2011 Sep;25(3):669–76, x. DOI: 10.1016/j.idc.2011.05.009. Rochmyaningsih D. The developing world needs basic research too. Nature 2016 Jun 1;534(7605):7. DOI: 10.1038/534007a. Vink S, van Tartwijk J, Verloop N, Gosselink M, Driessen E, Bolk J. The articulation of integration of clinical and basic sciences in concept maps: differences between experienced and resident groups. Adv Health Sci Educ Theory Pract 2016 Aug;21(3):643-57. DOI: 10.1007/s10459-015-9657-2.